Take care when trees are near power lines. Be sure to contact the energy company to have the line disabled during tree removal. Nothing is worse than taking down a tree only to have a diseased limb fall on our roof (or your neighbor’s roof). Watch for nearby structures (homes, sheds, cars, etc) to ensure that they are safe during tree removal. Unsteady trees can pose all kinds of dangers for the people around them. Stay out of the professional’s way during the removal process. They have the experience to handle whatever comes their way, but having to deal with a homeowner’s safety is something they should not have to worry about. Efficiency: Our team works hard to get every job done in a matter of hours. From prep, to removal to clean-up and even replanting, our comprehensive plan handles every detail. Root removal: Roots can cause lots of problems in the months and years ahead. 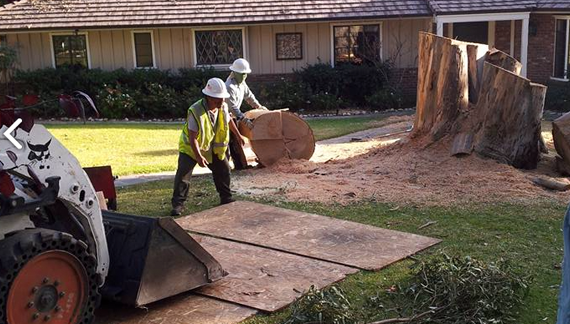 Alleviate the risk of underground issues down the line with complete root removal when you take down your tree. Stump removal: Stumps are a major tripping hazards when left in place. They also encourage insects which can infiltrate other trees in the area – or even your home. 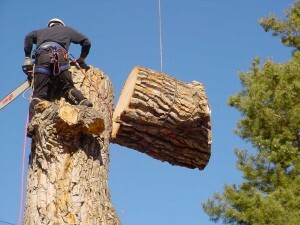 Tree removal can be complicated and it can be dangerous unless it is handled by experts trained in every aspect of the job. 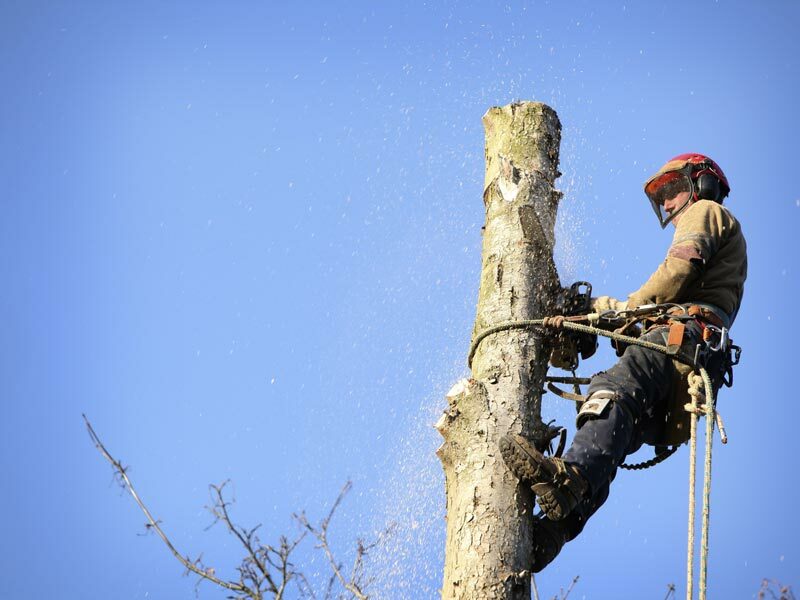 Four Seasons Landscaping is a Los Angeles residential tree removal expert who have many years experience efficiently and safely removing trees of all types and sizes.